The men’s soccer team is on fire as usual. 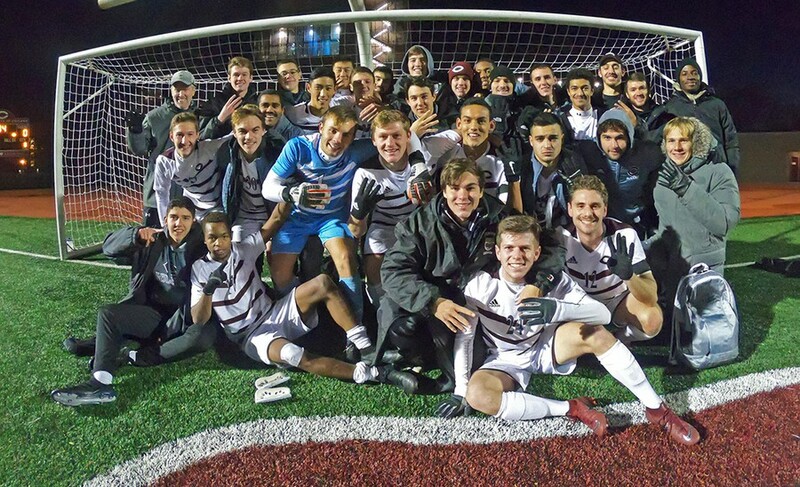 With their exciting 2–0 win over Trinity College this past weekend, the Maroons progressed to the NCAA quarterfinals. There, they met Luther College and won in an overtime game-winning goal. The third seed Maroons’ NCAA quarterfinal win brought their overall record to 18–2–1. The Maroons first met Trinity College earlier this season on a Texas night with much more pleasant weather. In that game, the Maroons had the first two goals of the first period but allowed the Tigers a period-ending goal in the 40th minute. In the beginning of the second period, the Maroons scored in the first ten minutes. Unfortunately, Trinity was able to knock off two more goals before the end of the game. The match resulted in a 3–3 draw, the Maroons’ only tie of the entire season. This meeting, however, the Texan team was met with a chilly rainy Chicago night. The conditions proved to affect the game as the slick turf resulted in a number of highly-contested loose balls. The Maroons, however, continued with crisp passing sequences throughout the game. In a way, it seemed that nature worked in the favor of our men, who are much better equipped to play in more treacherous conditions. Defensively, the Maroons played strong and smart with just seven fouls accrued mostly toward the beginning of the period. Capotosto’s comments on the game alluded to this patience as he emphasized the knowledge of each player that they needed to remain level-headed. He said, “It was really important to stay calm, keep our heads up, and just keep pushing,” despite the disappointment they might’ve felt regarding their lack of scoring. The Tigers, on the other hand, accumulated nine fouls in the period, most of which came toward the end. In the second period, both the Tigers and the Maroons were quick to each pass and fought for every position, accumulating 12 and six fouls respectively. It may be due to these fouls and changing weather conditions that the Trinity players were constantly being cycled in and out throughout the game by coach Paul McGinlay. It’s hard to disagree with the notion that this team has worked hard. Not only does the University have a hardworking soccer program on the field, but a diligent and mentally grounded one as well. It is one thing for a team to be the fastest or the strongest in the league. It is another to have a team which recognizes the impact of their thoughts and words in the game. For this reason and more, it is certainly clear that the men’s soccer team has the opportunity to bring the honor of a national championship to the University. Good luck to the team as they face Calvin College on November 30 in Greensboro, NC.